From left: Yasmeen Shorish, Nathan Hall, and Rebecca Kennison present the new ACRL research agenda. 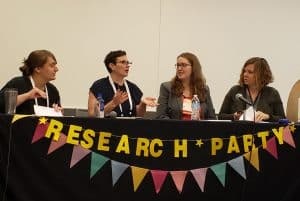 The Association of College and Research Libraries (ACRL) will be publishing its completely revised Research Agenda for Scholarly Communications and the Research Environment in early summer. Initiated by ACRL’s Research and Scholarly Environment Committee (ReSEC), the document will have an increased focus on making the scholarly communication process more open, equitable, and inclusive—elements that have become core values of the division and the American Library Association as well. Rebecca Kennison, executive director of K|N Consultants who advised ReSEC on the project, elaborated on those elements. “By open, we mean removing barriers to access and encourage use and reuse, especially the tools for production of scholarly content and the outputs of that work,” she said. “By equitable, we are ensuring that systems, institutions, and processes function in a way that gives everyone what they need to successfully contribute. 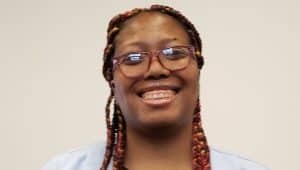 By inclusive, we mean creating opportunities for participation, removing barriers, and welcoming participation.” The final goal, she added, is to achieve greater involvement by more people in more roles at all levels—especially at institutions that have been underrepresented previously, such as community colleges, historically black colleges and universities, and tribal colleges. Kennison said that the research agenda was developed using results of an online survey of 800 academic librarians, a number of focus groups, in-person roundtables at various conferences, and public feedback on the draft agenda that was released in December 2018. 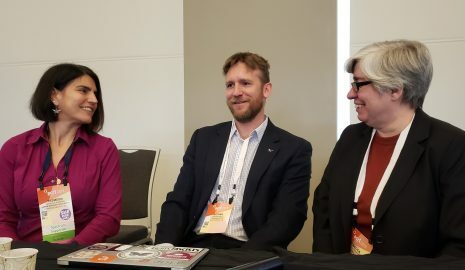 ReSEC Vice Chair Nathan Hall, director of digital imaging and preservation services at Virginia Tech in Blacksburg, said that after the agenda is published, ACRL will make available grants for research that respond to elements in the new agenda. GEORGE M. EBERHART is a senior editor at American Libraries.